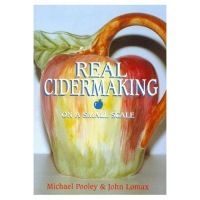 Fabulous book with all you need to know about making your own cider. Cider is a quite delicious drink which has been known for thousands of years. This new practical book on the craft of cidermaking explores both traditional and modern approaches and has been designed to enable the enthusiast using any type of apple to make real cider with skill and confidence.